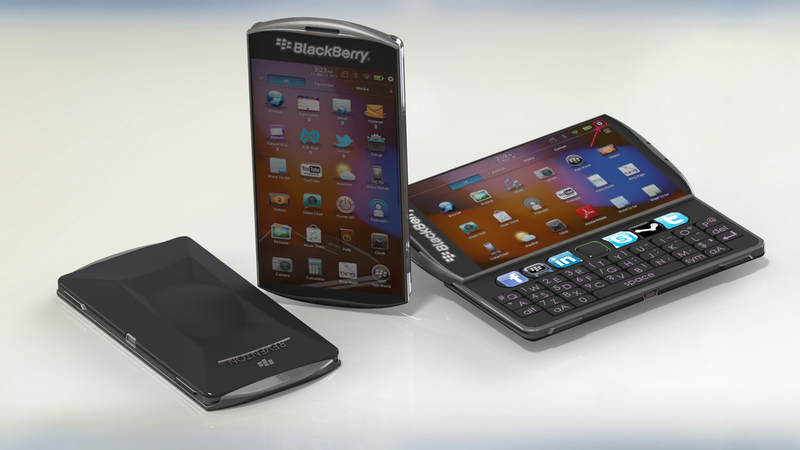 Two New DreamBerry BlackBerry 11 Slider Concepts Emerge! 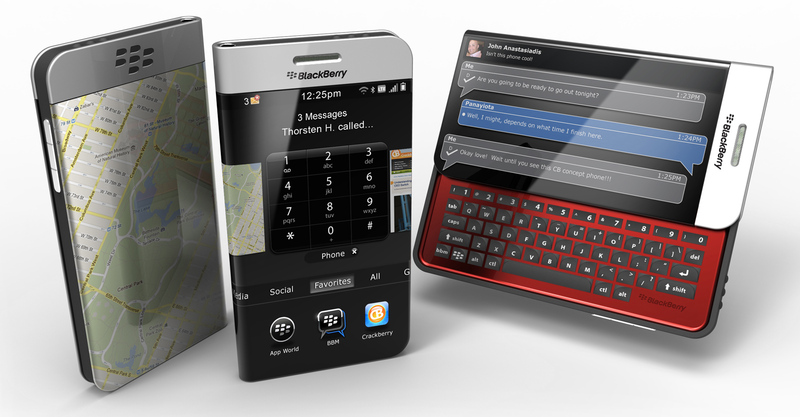 We were interupted yesterday from our series of reader-submitted Dream BlackBerry designs by a "Reality" BlackBerry. 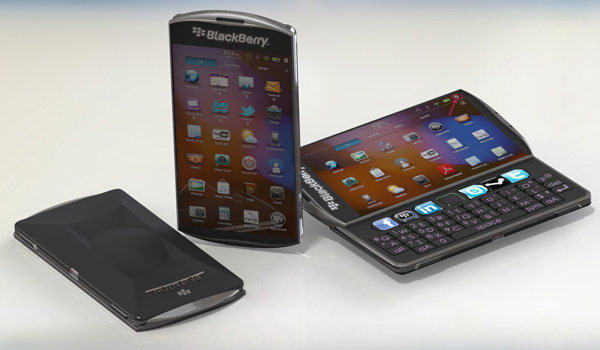 While the first images of the BlackBerry 10 "London" phone showed a beautiful full touchscreen design (apparently 4.2" w/ a DPI that smokes the retina display on the iPhone 4), our next two submissions are both slider concepts. Our first design above comes to us again from John Anastasiadis, who revamped his amazing wrap around display concept phone to now include a slider. BlackBerry is known for having great physical keyboards, so John figured he'd try and work one per the request of many a CrackBerry Nation member. Note the dedicated BBM key on the keyboard! You can also a better sense for the whole device now, with a clear shot of the back of the device. A phone like this would definitely require some smart technology to make it work (disable the touch on the rear when just holding the phone), but hopefully phones like this will one day not be a dream. Our second slider concept below comes to us from Cody, who's dreamy PlayBook 3.0 concept we posted previously. The community wasn't overall thrilled with that one (I personally liked a lot of the ideas in it), so Cody is back looking for redemption with his Reventon slider concept. The Reventon name comes by way of the insipiration and some of the design elements Cody took from the ultra hot Lamborghini Reventon. With a slide out keyboard and lots of dedicated social media buttons on this model, it's definitely a dream BlackBerry for a CrackBerry Addict. With things starting to shape up with how RIM may position some of the BlackBerry 10 phones due out this year, I guess it's time for us to think beyond that.... I've christened these babies BlackBerry 11. Click on the images for larger views, and be sure to drop us a comment with your reactions. Hot or HOTTT? !